In 1988, Jamaica was the first tropical country to send a bobsledding team to the Winter Olympics. Jamaica is home to more than200 species of exotic orchid, 73 of which are indigenous. Jamaica’s Kingston Harbor is the seventh-largest natural harbor in the world. Mavis Burrell Spencer wasn’t sure what to do with her husband’s high-end tailoring business when he died a decade ago. 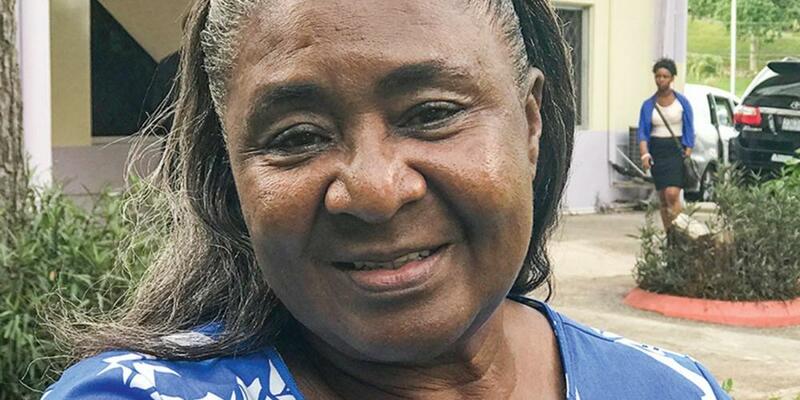 Her husband had established three, flourishing tailor shops in Jamaica, including a main outlet with 25 employees in a shopping center in the island’s capital, Kingston. Mavis saw that she was at a crossroads, and she ultimately decided to run the business by herself. Ten years later, Mavis found herself at a crossroads again. She wanted to be baptized into the Seventh-day Adventist Church, and Saturday was her busiest day at work. She prayed earnestly about what to do. Mavis, who had attended a Sunday church on and off, first heard about the seventh-day Sabbath from Adventist friends. But she didn’t know that the Fourth Commandment to “remember the Sabbath day to keep it holy” applies to all Christians today. Things began to change after a family friend invited her to weekly Bible studies. The friend, an Adventist business owner, had prayed regularly with her husband before he died, and Mavis had turned down his earlier invitations to attend church, saying she was too busy. But then he invited her to the small-group Bible studies and called her every week to remind her to come. Mavis was astonished to discover how little she knew about the Bible. In addition to the Sabbath truth, she didn’t realize that Jesus was coming soon and would take the righteous home. She was amazed by the Bible’s description of the New Earth. “The more that was explained to me, the more that I wanted to hear,” Mavis said. Mavis began to pray earnestly about the Sabbath. In December 2016, she made her decision. She posted a notice on the doors of her three shops that read, “Effective January 7, Spencer’s Tailoring Establishment will be closed on Saturdays.” Instead, the shops would be open on Sundays. Mavis was baptized on January 7. Several clients complained angrily about the shops being closed. “How could you do this?” said one. “Saturday is the most productive day, so why are you closing?” said another one. Even though her shops were closed on Saturdays, they began to prosper. Clients started to praise her decision to work on Sunday. Big crowds at the shopping center where her main shop was located made it difficult to find parking on Saturdays, but the shopping center was quiet on Sundays. Even more important than money, Mavis said, is the reality that she has gained a new family at church. She will long remember the warm reception that she received when she first went to church on Sabbath. These days, Mavis, who is 66, prays with her staff before opening every morning. She asks God to bless the customers and to give the staff strength and love for one another. She said her employees used to argue and compete, but now a sense of calm and unity has come over her business. She also has invited employees to attend the small-group Bible studies, and one of them is preparing for baptism. Her favorite Bible verse is Philippians 4:13, which says, “I can to all things through Christ who strengthens me” (NKJV).